Police seek help identifying fraud suspect through surveillance photo | Crime Stoppers of the Lowcountry: 554-1111 | 1-888-CRIME-SC | Anonymous tips earn cash rewards with Crime Stoppers of the Lowcountry. 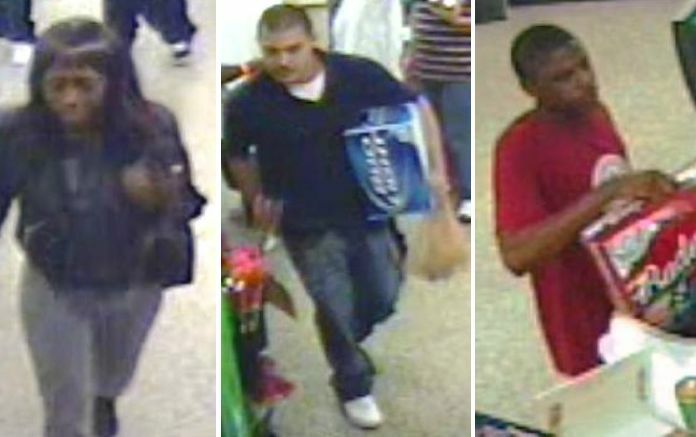 GOOSE CREEK, SC - Goose Creek police officers are trying to identify three individuals wanted in connection with a credit card fraud scheme earlier this month. According to investigators, a man used a stolen credit card to make several purchases at the Kangaroo in Goose Creek on April 23. The other two individuals accompanied the suspect during the illegal transactions. A victim reported to police that he lost his debit card somewhere in North Charleston last on April 23. After canceling his card, he discovered seven fraudulent transactions totaling $327.12 that were made using his debit card. Some of the charges occurred in Goose Creek and some in North Charleston. If you can identify any of the individuals pictured above, please contact Investigator Fogle at (843) 863-5200 ext. 334.